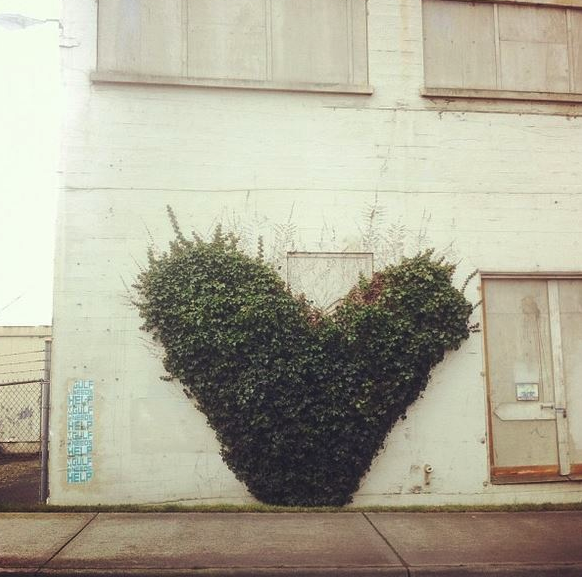 A friend submitted this heart vine photo after seeing my blog about a heart vine in Beaufort, SC. The building in this pic appears to be a dingy warehouse with a boarded up window. The well-placed heart symbol made from a living plant transforms the energy to a vibrancy it would otherwise lack. Well done feng shui cure!